intu Gift Cards can be redeemed at any participating retailer that accepts Mastercard in all of the intu shopping centres across the UK. 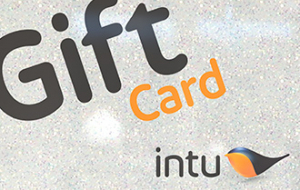 That means you can use intu Gift Cards at more than 2,000 stores, restaurants and leisure facilities. Remember to check the expiry date on the intu Gift Cards you receive - they’re valid for 12 months from the date of issue. Visit intu.co.uk/giftcard for full details. Simply take your unique code to the Customer Service desk at your nearest intu centre before the expiry date shown to claim your intu Gift Card.